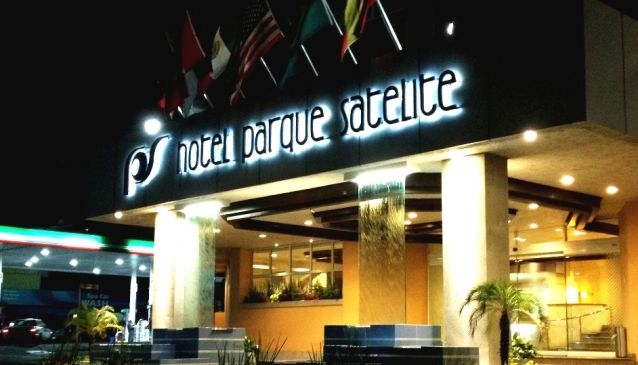 Hotel Parque Satelite is a modern four star hotel situated in Mexico's foremost industrial area, Tlalnepantla, Cautitlan Izcalli and Naucalpan. With its functional premises, Hotel Parque Satelite offers all the services needed to make your stay perfect and unforgettable. The hotel is conveniently located near one of the best malls in Latin America, Mundo E shopping centre. There guests will be able to shop in a variety of stores, go to the cinema or dine in one of their many restaurants. Moreover, they are located near the international exhibition and convention centre - World Trade Centre Mexico City - the most important venue in Mexico for exhibition, expos and trade shows. Finally, the hotel is strategically located near the Caminante terminal which is connected to the Toluca Airport, and thus it is very convenient for leisure or business travellers. The hotel features a gym equipped with elliptical cross trainers, exercise bikes, treadmills, and weights. Comfort, attention, service and courtesy are the main features that define Hotel Parque Satelite, which always strives to make guests feel at home.